Arduino Blog » 3D wire bending with Arduino! If you thought that automatic wire bending was solely the purview of expensive industrial machinery, think again. 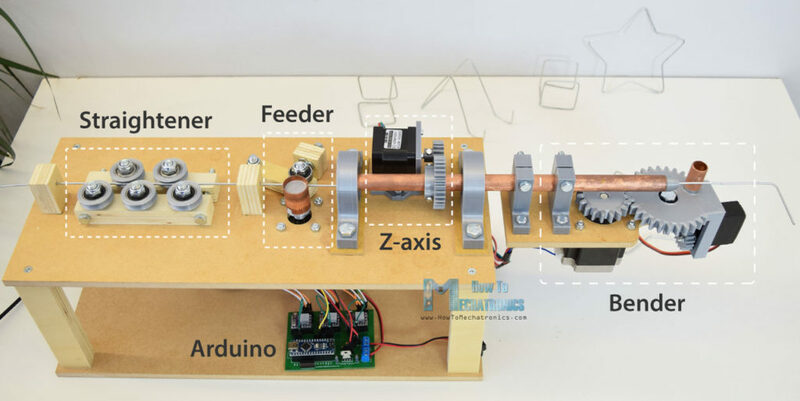 How To Mechatronics has come up with a bender that not only twists wire left and right, but can rotate to create three-dimensional shapes. The heart of the system is an Arduino Nano, which controls three stepper motors for wire manipulation via DRV8825 driver boards. 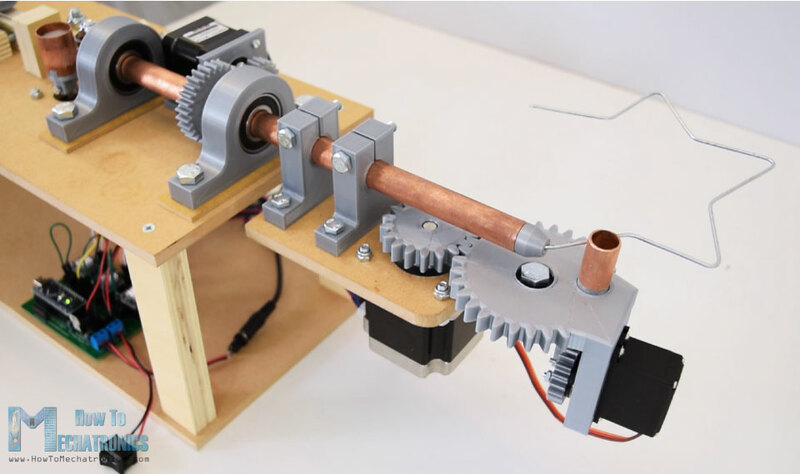 A servo motor is also implemented in order to push a piece of copper tubing into place to physically bend the wire. As noted, the device does have some trouble moving the wire when its straightening rollers are tight, but this likely could be perfected with a little more work. If you’d like to take a crack at it, code and build files are available here. WOW! Thank you for a most enspring tutorial. Although I don’t need a wire bending machine, I do have a project in mind that needs a couple of stepper motors. You have also pointed me to PCB design and getting the boards made.